What's Youer Homes Walk Score? What is your home's Walk Score? So what is all the buzz about a website called Walk Score? A colleague sent an email to the agents in our office, Keller Williams Preferred, to share the benefits of this site. I thought it was pretty cool and wanted to share it with you. With gas prices high and the concern about living "green", more and more people are looking for homes in neighborhoods that are walkable. The idea of having the ability to walk to the grocery store, library, dentist, restaurants, movie theater, parks and more, seem to be a growing interest. There are the obvious benefits of saving on gas and the environment but, how about better health and economy? A friend recently told me that you're supposed to take 10,000 steps per day just to maintain your weight. I took the challenge and wore a pedometer for a couple of days to see how I measured up. On the first day, I tried to stick to my normal routine. It was shockingly difficult to get to 5000 steps. I'm at my computer or in my car so much that it leaves little time for walking. How about the second day? I was determined to hit the 10,000 mark on the 2nd day. So, I began my day by taking my dog for a nice long walk. I was able to get in about 4000 steps on that walk which I estimate was about 1.5 miles. I spent the remainder of the day mindfully taking the long way around (steps instead of elevator, etc.) and at the end of the day walked until the pedometer reached over 10,000 steps. From my results, I think my dog will be taking her owner on many more walks. So how does it affect the economy? After all, if we walk more, we don't need to buy as much gas. If our health reaps the benefits maybe our medical bills and cost of weight loss programs will decline. The theory is if you live in a dense community, people don't need to drive between destinations which make it easier for them to shop. Shop owners will have more traffic and sell more goods. I think if it were just a little closer, I would be tempted to walk to the coffee shop in the mornings. I had to try this for myself. I went online, put in my address and found that out of a score of 1-100, my neighborhood only scored a 31. On the Walk Score site they will tell you that it isn't a perfect formula. There are many things to take into consideration. For example, someone may live in a dense area that scores high but, the streets may not have adequate lighting or be pedestrian friendly. You may live in an area that is too hot or too cold. In my situation, I live in Cary, NC which boasts miles upon miles of reserved walking trails and greenways. That should count for something. If having the ability to do most errands on foot is important, you may want to check out the Walk Score site before you purchase your next home. A few places I found in the Wake County area that are good-excellent for walkability are Stone Creek Village in Cary, Breckenridge in Morrisville, and Stonehenge and Renaissance Park in Raleigh. If you desire a walkability rate of 90 or above, a condo may be just what you need. They had higher scores than anywhere I found. The Hudson, Hue, and Palladium Plaza in Raleigh are just a few local condos that scored above ninety. If your neighborhood has a high walkability score, please let me know. I suspect, there are those of us who will always prefer privacy and spacious yards. However, just for fun, check out this site and make a note of your score. It would be interesting to chart the changes over the years. As for me, I will just continue to walk my dog. 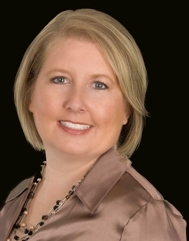 About the Author: Carla Freund is a North Carolina Realtor® with Keller Williams Preferred Realty, who specializes in buyer and seller real estate services in the Research Triangle. This includes but is not limited to residential purchase & sales, buying & selling of luxury homes, new construction, specialty communities, out of area referrals and corporate relocation. She represents clients within the cities of Cary, Apex, Raleigh, Morrisville and the surrounding Triangle areas. She is current with transactions in these areas, and very knowledgeable with the local schools and area services. Visit her active rain site at http://activerain.com/carlafreund.